A total of three R5 cars will take part in next week’s Hyundai New Zealand Raglan Rally of the Coast – the first time more than one has competed at a domestic round. Raana Horan debuted his Skoda Fabia R5 at the previous round of the Brian Green Property Group New Zealand Rally Championship on the Coromandel but he will be joined on the famous gravel roads around Raglan by Neil Allport’s Ford Fiesta R5 and another Skoda Fabia R5 driven by Kingsley Jones. Allport purchased his Fiesta over a year ago and it has been run three times in the NZRC – twice last year under the power of Max Bayley while Aussie champ Nathan Quinn ran it in Whangarei this year. Allport will drive the car himself next weekend. Jones has bought Horan’s sister car and is hoping it will arrive in the country in time to compete at Raglan. All three cars are expected to contest the full championship next season. Defending NZRC champion Andrew Hawkeswood is back for just his second rally of the season in his Mazda 2 and he will be joined by Australian driver Brendan Reeves in a dual attack by the Force Motorsport Team. WRC star Hayden Paddon, who is in action at Wales Rally GB this weekend, will return to New Zealand in time to compete. The Hyundai driver secured the championship with his victory on the Coromandel in August. All the usual suspects will line-up – Ben Hunt, Dylan Turner, Matt Summerfield, Josh Marston, Emma Gilmour, Phil Campbell and Greg Murphy. Quinn has also entered the event in the hopes of securing a podium finish in the championship though he has yet to secure a car. 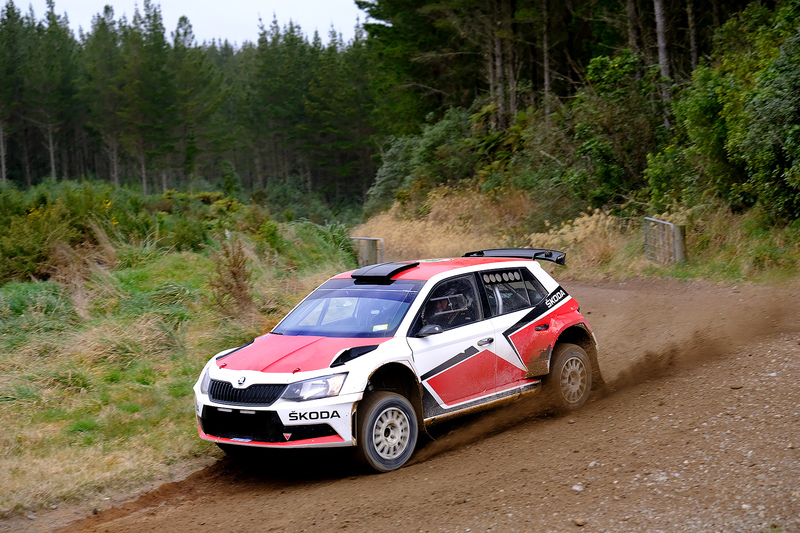 In all 74 cars have entered the event and will tackle the famous Whaanga Coast and Te Hutewai stages south of Raglan as well as two stages in the Te Akau region next Saturday.